When searching for a gift to give to that special mountain biker in your life, where do you start? They probably already have all the obvious things when it comes to gear, tools clothing and bike parts so the art lies in finding that one item they didn’t know they needed until they had it. If it seems to you that they already have the basics covered, yet really want to surprise them with a mountain bike related gift, then maybe this short list of items will provide some ideas. Here are 5 things that might be able to excite the mountain biker that already seems to have it all. 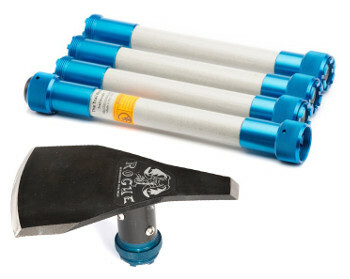 The Trail Boss, by Trail Insight, is a beautiful trail tool that can be disassembled and stowed away in your backpack allowing you to go for a ride and do a little trail maintenance on the side. There are multiple heads available and different lengths of handle to give you exactly what you need for any trail job. If the person you are shopping for has an interest in building and maintaining trails, than this is probably the coolest gift you could give. My personal favourite comes with a Rogue Hoe head. Check out the Trail Boss and order one of their many packages directly from their website. Does the rider you are shopping for ride with a bike computer? If not, than I highly recommend the Garmin Edge 200. Even for people that think bike computers are too nerdy for them will likely appreciate what the Edge 200 does. 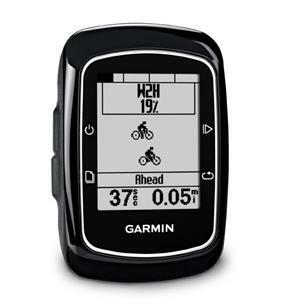 Being GPS enabled, the Garmin Edge 200 doesn’t require any wires, magnets, or sensors being mounted to your bike, so it looks great, and having access to all the data that a GPS device tracks is really awesome. I have been using one of these for this past season, and you can read my review of it here. The best part of the Garmin Edge 200 is the price. Although it costs more than your typical bike computer, at $129 it is still significantly less expensive than other GPS computers and watches. If you are a mountain biker that rides most of the year with a hydration pack, than you will probably agree that if someone were to give you a new bladder for your bag, you would not reject it! Bladders have gotten a lot better over the years as far as anti-microbial properties go, but they still seem to get a little bit of funk going on after a while. Most of us have come to tolerate a little bit of taste from time to time from our drinking reservoirs and no harm ever seems to come from it (so far! ), but there’s nothing like drinking from a clean bladder and hose. I’ve come to love Platypus’s collapsible water bottles for hiking and camping over the years, and when it came time to replace my nasty Camlebak bladder for the first time, I turned to Platypus and bought the Big Zip SL bladder. I’ve had it for 3 years now and it’s still tasting great, which is far better than the mileage I got out of the stock one. As the name implies, the Big Zip has a big zipper in the top of the bag for re-filling, and has a 100 ounce (3 litre) capacity. A neat little slide lock seals the bag, and I’ve never had it leak. The best part of this bladder is how easy it is to put your hand inside to clean it. It also sports a handy quick detachment of the hose so you can refill the bladder without the hassle of routing the hose through the pack all the time. 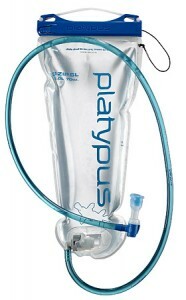 Read more about Platypus products on their website and locate the nearest Platypus dealer near you. Want a good stocking stuffer? 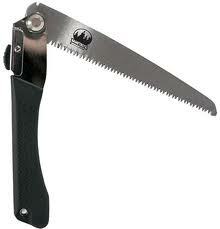 Why not get them a handy folding pruning saw. They say that only two things in life are certain, paying taxes and death. I would also add that somewhere a tree will fall over on a trail. I see this as one of the most important things I carry with me in my backpack apart from a spare tube and a pump. This is not just a gift for the one you buy it for, but for the trails and all who ride them next spring. Does that special someone you are shopping for really get out there? Wouldn’t it be nice to know that your loved one riding way out in the backcountry is safe? Give yourself the gift of a little peace of mind and give them the gift of being able to notify someone if they run into difficulties far away from civilization. 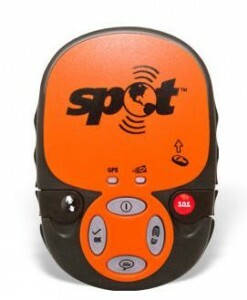 The SPOT Satellite GPS Messenger works even where cell phones don’t to keep a line of communication open between you and your family and friends. The SPOT can track your journey, as well as call for help or emergency services if things get dicey. The best thing is that your friends and family can track your progress from their home computer and be sure that you are still moving and okay. 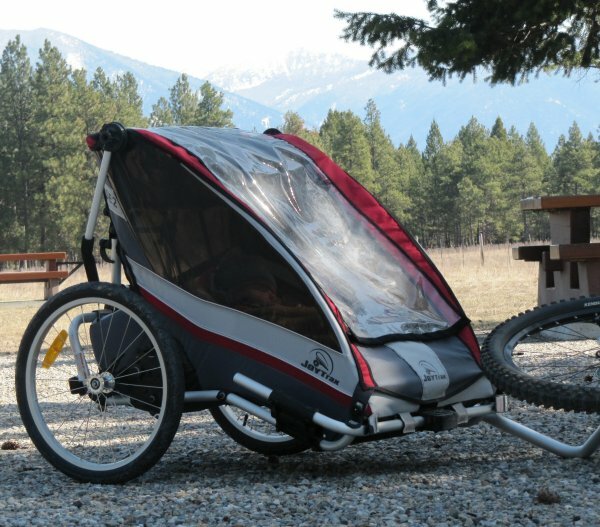 A must have for the ultra adventurous rider and their family. Get one at an authorized SPOT retail location. I hope these five examples were enough to get the wheels in your head turning towards choosing that perfect gift. I wouldn’t say that mountain bikers are the easiest people to buy gifts for, but I dare say they are the funnest! Happy hunting.